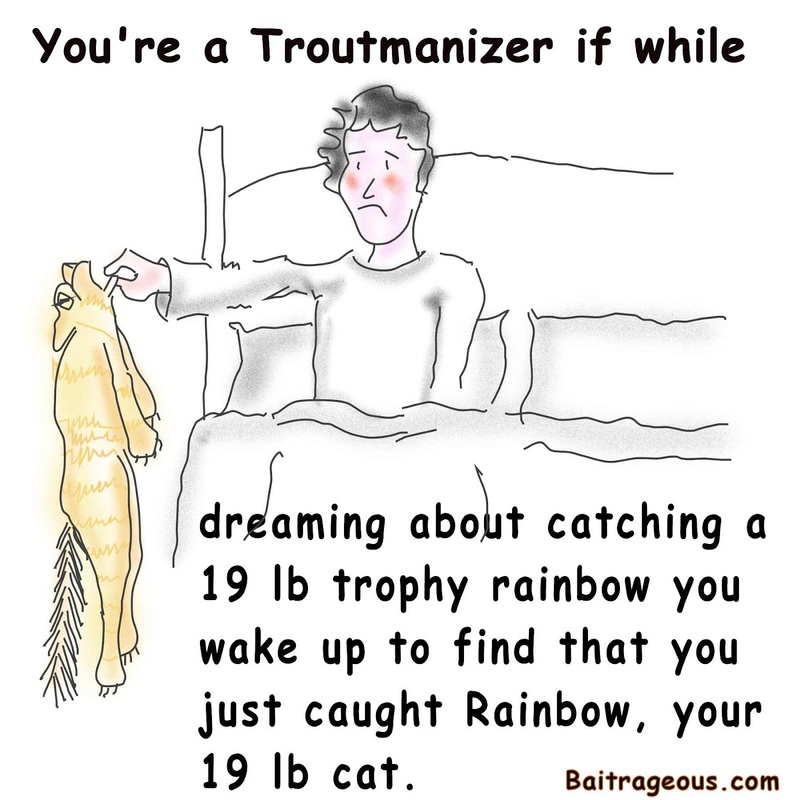 BaitRageous: Troutmanizer number 6, Dreaming about fish! I have a 19 pound cat, but his name is Jasper. He's safe. 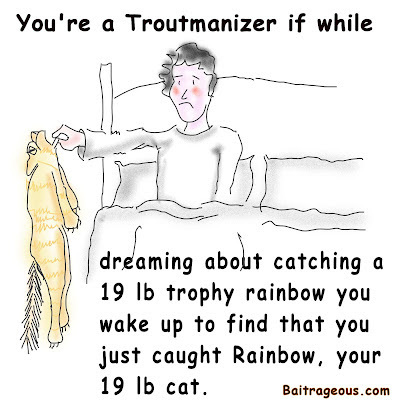 That's a big cat, Mark!